A Lot Containing 5 BR Guards Whistles. BR(E). A Lot Containing 5 BR Guards Whistles. BR(E). 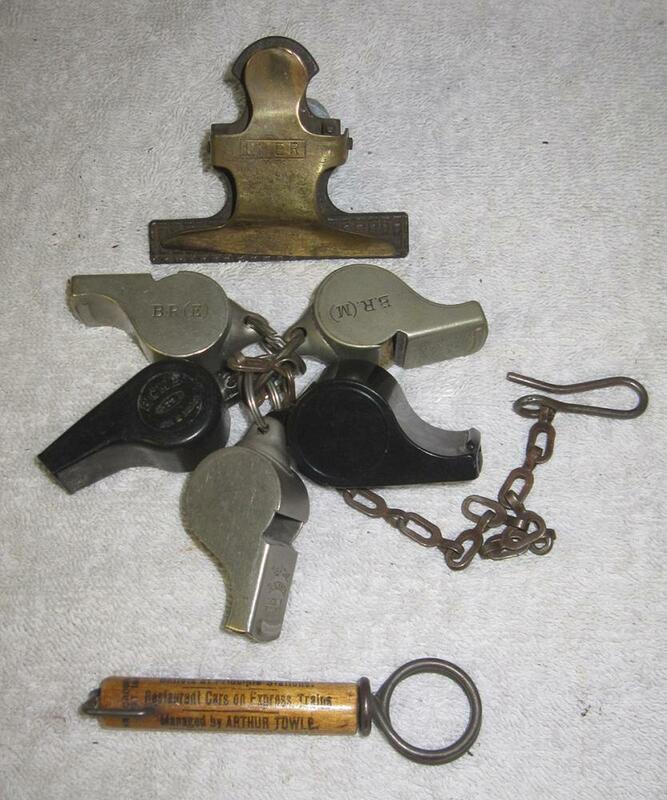 BR(M) And BR(W) With 2 X Standard BR Whistles Together With A Very Useful Bottle Opener From Railway Hotels And An LNER Notices Clip.